So has anyone tried the mountain rocky warhead Broadhead? I ran across them on Amazon and they look like a mix between a rage and a swhacker. 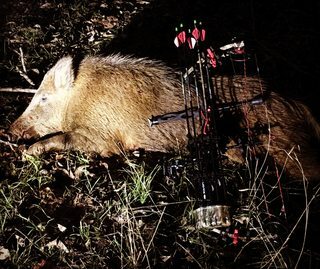 I killed this pig a couple weeks ago with the Warhead. It's the only thing I've shot with them so far.